We apologize and regret to inform you that Eurocamp´11 is cancelled. due to cancellations and lack of manpower. Unfortunately, we underestimated the financial crisis which we noticed throughout the European scout groups. We hope you will continue to keep an eye on this site as we will return even stronger. 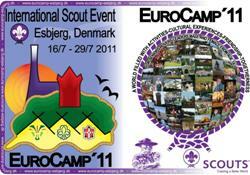 Use the left side menu to navigate the Eurocamp site. Hopefully you will find the information interesting.